Stygian – Relating to The Styx; The river which forms the boundary between Earth and the Underworld in Greek Mythology. 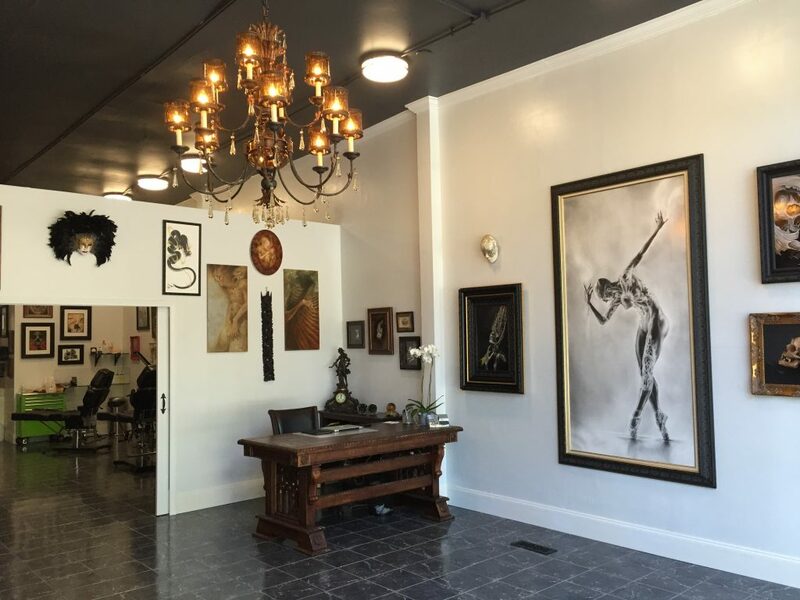 Stygian Gallery is the result of Tony Mancia’s efforts to combine different medias of art in an inspirational setting. 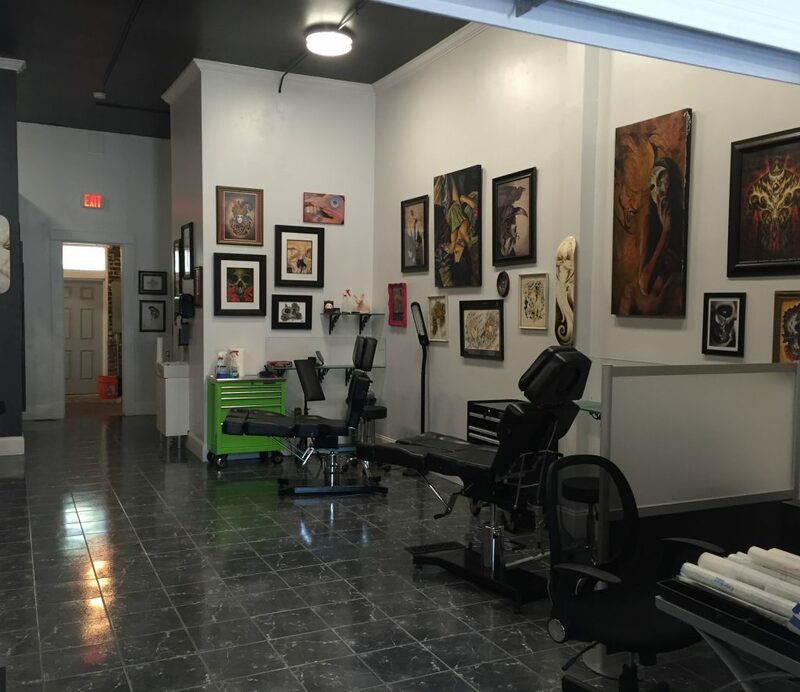 This space features an art gallery and separate tattoo area to ensure the most comfortable atmosphere for clients. We are proud to welcome you. 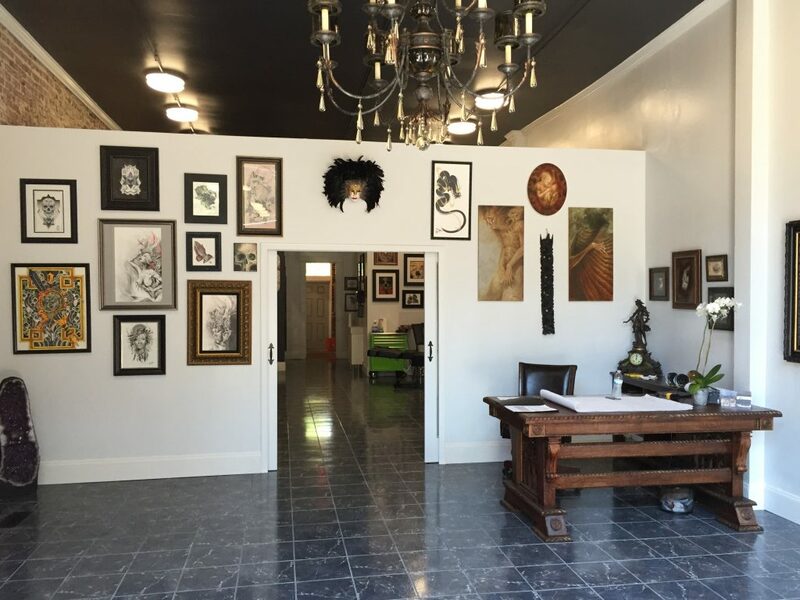 Stygian Gallery is a place where classical forms of art and tattooing are combined. Just like the river Styx, it forms a link between the two worlds. It is our vision to get those two worlds closer together. Tattooing has evolved into a dominant art form. It now allows fine artists to express themselves through another medium that was untouchable before. To give tattooing the recognition it deserves, we created this environment for you to view our world through our eyes. The tattoo studio and its artists are by appointment only. This helps us keep a calm and controlled environment for the tattooers as well as their clients. You’re welcome to stop by to discuss ideas with our studio manager, but we do not do walk in or same day tattoos. Oftentimes tattoos done spontaneously are the ones that people regret over time. Stygian Gallery has a wide range of artwork from resident artists along with pieces from Tony’s private collection. We are located in the Virginia Highlands neighborhood of Atlanta, GA- convenient to the Atlanta Hartsfield-Jackson International Airport and many hotel options. Please do not hesitate to contact us with any questions you may have. For original paintings and prints, please contact us for prices and availability.